The Templars or actually the Poor Fellow-Soldiers of Christ and of the Temple of Solomon appeared around 1118 AD. It was then that the knight from Champagne, named Hugo de Payens, along with his six companions, vowed chastity, poverty and obedience to the patriarch of Jerusalem. What was characteristic for this order, the knights also swore to fight in defense of the faith by the Cistercian rule. The Templar rule was confirmed by the Pope in 1128, what was the basis for an untypical form of this religious congregation. The standard vows of obedience, chastity and poverty were still valid, but there were also some remarkable differences. 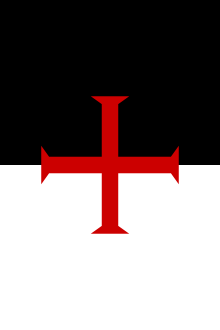 The Templars were given military tasks, uncommon for any other convent – it was demanded from them to fight infidels with armament. Their inner structure was also specific, especially due the fact that it was the lay brothers, not clergy, who played the most significant role. On every leading position there was a brother-knight who did not have any priest ordination. They were in the centre of this new religious congregation. At the beginning, priests were excluded from their circle completely. The Templars had only "guest" chaplains, who were not members of the Order. As the time went by, a group of clergy appeared in the congregation, but it was not very numerous and had little influence. Priests were completely surrendered to authority of the brother-knights. Therefore, the Templars were not only monks who decided to fight the infidels, but quite the opposite – it was a group of knights, who obtained a religious rule. It was not cult or ascetic life, but particularly the “holy war” against the infidels that was the quintessence of their activities. It constituted the centre of their lives and the whole organization of the Order. Military issues were particularly exhaustively described in the Order's rule. The knights-monks had to possess high quality hard armament, but at the same time simple, without any silver or gold ornaments. When brothers were not fighting at the moment, they were expected to take care of their equipment and weapons. The rule ordered to cut their hair short, so as not to have limited visibility. It also prohibited long and “excessive” fasting, what was the basis of the other monks' ascetic lives. The Templars were advised to have a good diet, because it would make them fully fit, healthy and strong warriors. Their religious dress was consisted of a white surcoat and mantle, worn on the armor. Later, with the agreement of the Pope Eugene III, they started to wear an image of a red cross on their attire. Brothers-servants and squires, however, wore dark or brown outfits. The initial function of the Templars was mainly to protect the pilgrimage routes, but as time went by, their congregation grew to the size of one of the most important military sites throughout Outremer. For this reason, they developed a new rule in French, describing also the details of the military aspects of life in the Order. Every brother-knight, as well as the servant, had to serve with a weapon in his hand. All the knights-monks were allowed to have three horses and the forth one was ridden by his squire. A Templar protected himself holding a shield and wearing a helmet, iron chausses and chain mail and he fought with a sword, a lance, a dagger and a Turkish maul. The servants had a slightly weaker weaponry and they usually fought on foot, but they were also allowed to have one horse. The troops, consisted of the knights and their squires, constituted the basic tactical unit. The light Syrian cavalry (turcopoles) was fighting along with the Templars. At the forefront of the troops, there was a marshal, no matter if they were marching, stopping or fighting. As the Order rule said, all the Templars had to be absolutely obedient to him. Every time when the rule was broken, there was a punishment, but it was the most severe when a brother chickened out or even went over to the enemy. It was prohibited to leave the battlefield, as long as the black and white flag, held by the marshal, was visible. For better protection, he was surrounded with a group of ten knights. 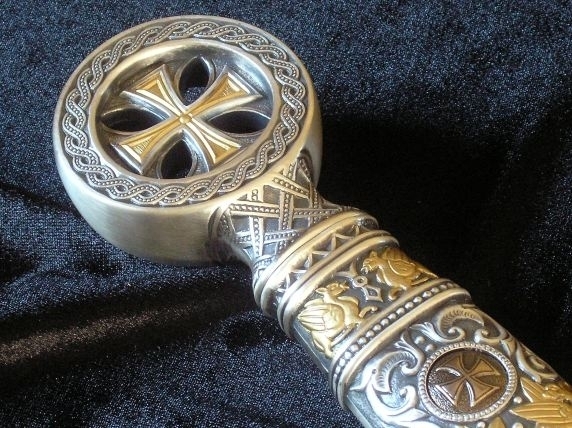 The basis of the Templar's weaponry was a sword. A blade weapon of this kind was used mostly to inflict injuries with cutting. The main parts of it were a blade and a hilt. The blade could be straight or curved and it has two flat sides. It could have two cutting edges (a double-edged blade) or one with a backside (single-edged blade). A hilt and a blade met at the base. Whereas the final part of the blade was called a foible. If the blade's sides are flat, we are dealing with a flat drawn weapon of a lenticular cross-section. When the sides are covered with arched surface indentations, we are talking about a concave drawn blade. It happened that on the blade there were grooves of an elongated shape and various width. This was a fuller. When the cross-section of a blade is lozenge, the vertical edges are called the ridge. To prolong a blade over a base, it was equipped with a pivot, which made it possible to place a hilt, consisting of a grip, a guard and a pommel. A grip, which was a pivot covered usually with two linings, was grabbed with a hand. A single or a combined pommel was designed to close the upper side of a hilt, resulting in a characteristic thickening being formed. When it comes to a guard, its function was to limit a hilt from the bottom and protect a hand. Both blades and guards could have various shapes. A sheath was formed adequately to the shape of a blade and it was endowed with several fittings. The ferrule of an outlet was called a locket, while the bottom one was named a chape and it strengthened the tip of a sheath. Between a locket and a chape there were some ring-shaped fittings. There were small rings in them, which were used to attach straps in order to hang a sword to a belt. A sheath was usually made in a similar style and technique as the hilt, sometimes even of the same material. Together they were the frame of a weapon. A Templar was also equipped with a jousting lance. It was a pole weapon, which formed from a spear. It was used by the cavalry of brother-knights and many other warriors. In order to attack the enemy, a lance should have been placed in the armpit and the warrior should charge the enemy galloping. This weapon became common in the twelfth century and it was used in the Western Europe up to the end of the sixteenth century, when it transformed into a piercing lance. It allowed a knight to strike a very strong blow in the initial phase of the battle, but only once – the weapon broke when it hit the enemy. It happened that during the battle knights after the first charge came back for new jousting lances and attacked with them again. This manoeuvre was repeated several times. In case of a different kind of tactics, when the jousting lance was broken, a knight began to fight with a different type of weapon, usually a sword. The next element of the Templars' armament was a dagger. It is one of the oldest forms of a blade weapon, being a miniature of a sword. Its blade was straight and single or double-edged, while the hilt was endowed with a guard. It was put in a sheath and attached to the right side, while a sword was placed on the left. The blade measured usually around 30 cm. A dagger was not adapted for cutting, but only for precise close stabbing blows in completely exposed or weakly protected spots of the opponent's body (for instance, through a visual chink of a helmet or in a nape of a leaning knight). To protect it additionally from getting lost in a battle, a dagger was attached to a breastplate with a little chain or a thong. This kind of weapon is often mistaken for a small sword, a combat knife or a cutlass, as the differences between them are quite fluid. In our shop we stock elaborately prepared copies of historical weapons, also of the Templar swords. Taking the influence of corrosion of other harmful circumstances into consideration, the original usually does not reflect the real majesty of this outstanding armament. Whereas a replica of a sword, which precisely presents the prototype, makes it possible to see how beautiful and noble it really was. 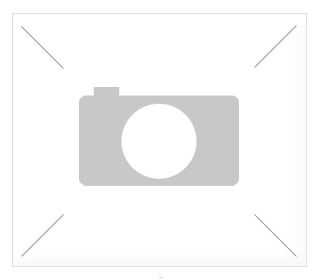 It could be an elegant decoration of an interior or a special collector specimen. Every sword replica that we offer is appreciated by weaponry connoisseurs and admirers.